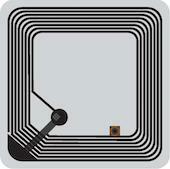 In recent years, passive UHF RFID has experienced high volumes and strong growth for the first time. Here we present a summary of our UHF market report, as well as discussion on possible impacts for HF and NFC markets. which can be purchased here: Passive UHF RFID Market Report: 2015–2018. In recent years, passive UHF RFID technology has been experiencing high volumes and healthy grow rates for the first time, founded on stable technology, reduced pricing, and a maturing ecosystem. About 6.2 billion tags will be sold in 2015, up from 4.9 billion in 2014, representing a 27% unit growth rate. 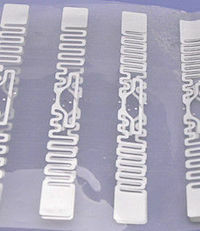 Almost two-thirds of these will be used in retail apparel, the largest and fastest growing vertical market for UHF RFID. There are dozens of examples of retailers generating revenue and gross margin improvements by using RFID to improve inventory visibility. With only a small percentage of suitable apparel items being tagged, we expect growth to accelerate as these use cases move into the steep part of the growth curve with new retailers joining the ranks of users, as well as current customers tagging more apparel. And with the infrastructures paid for through the ROI gained from this initial use case, RFID will be expanding to other use cases and categories for retailers. Retail RFID tag consumption should grow at about 34% over the next three years, lifting the overall tag compound annual growth rate (CAGR) to about 29% growth on a unit basis. Retail RFID rides on top of a slower growing but highly diverse base composed of countless applications employed in over a dozen verticals. Growth category examples include Asset Tracking and Management, AVI (automotive vehicle identification), Access Control/People Tracking, and Healthcare. The Internet of Things (IoT) adds a rich diversity of use cases; coupled with the explosion of ‘pairings’ of RFID with other devices such as GPS, Mobile and Sensors; IoT represents a real opportunity for the market going forward. The diversity of markets and use cases is both driving and benefiting from an evolutionary flowering in RFID readers, with many new, application-specific models coming to market. There are steady improvements in price and performance, which helps the efficacy and ROI of new applications. UHF tags continue their steady improvement in price/performance. Tag ranges have doubled over the last seven years and could do so again over the next seven. Meanwhile, the 5¢ tag is finally here, thanks in part to relentless efforts of chip, inlay, tag, and component (e.g. antenna) designers and low-cost manufacturing in Asia. As incredibly shrinking prices is not an attractive long term strategy, tag vendors are responding to cost pressures by trying to differentiate, often by layering in more value in the form of solution services and software. While many component providers (e.g. chip makers, reader vendors) remain primarily horizontal, most providers of higher level/whole solutions, systems, and services have already or are pivoting from a mostly horizontal approach to more of a vertical/industry focus. While early solutions required expensive and time-consuming custom software developments, the trend towards vertical solutions is leading many to develop technology and software that is optimized for specific applications. This requires an investment in domain knowledge at all levels of the company, including sales, marketing and R&D—failure to do so means that another company with better focus will win. There is reason for more optimism than we’ve seen in years, broadly across the UHF RFID industry. This is tempered for some players by commoditization and increasingly fierce cost competition in certain parts of the supply chain (such as inlays and tag antennas), but bright for other players with opportunities for real differentiation and higher margins in areas like software and total solution offerings. UHF tags have much longer read range (up to 10 meters or more) compare to HF (usually much less than 1 meter) or NFC (less than 0.1 meter … sometimes much less). Note, HF and NFC ‘camps’ have touted the short read range as an additional security feature. However, the Gen2V2 UHF standard includes an ‘untraceable’ command which can be used to reduce the tags’ read range to a range similar to HF. For applications with high tag-to-reader ratio, UHF provides a compelling cost advantage. UHF readers are, in general, much more expensive than HF and NFC readers—nearly an order of magnitude more, depending on many factors. For application with a low tag-to-reader ratio, HF provides a cost advantage. HF and NFC have, in general, much stronger security than UHF. That may change with G2V2, which allows encryption in UHF, but so far only NXP has implemented that and it remains to be seen how much uptake there will be. HF works better with liquids and in some cases may work better with metal or in the presence of RF interference. UHF can read many more tags faster. For applications with requirements for high speed, high quantity reading of tags, UHF has a considerable advantage. This is why UHF has dominated in applications where long read range is a must (e.g. supply chain) or where tag costs and the ability to read hundreds of tags at a time are important (e.g. item-level apparel). HF and NFC have been used where the tag-to-reader ratio is lower and short read ranges are desirable (e.g. access control, libraries, ticketing and transit). Some applications that have traditionally been strongholds of HF, such as library systems, have seen movement to UHF adoption, due at least in part to their higher tag to reader ratio, which makes UHF’s low tag cost attractive. NFC started appearing in Android phones several years ago; at first in a small number, but then in more and more of them. Last year, Apple (finally) included NFC in the iPhone 6 and 6 Plus, although currently it is restricted for use only with Apple Pay and not with other NFC applications or use cases.3 As of last year, about 450M phones with built-in NFC (Android, iPhone, and others) were shipped worldwide and about 750M4 will be shipped with NFC this year. Although the market has had some UHF vs. HF battles, HF is here to stay for the foreseeable future—there are application areas, such as access control, where HF is very well established, and we expect it to do well for a long time. Keep in mind that NFC is a derivation of HF, using the same frequencies and many of the same protocols, so many of the HF vendors are also very active in NFC products as well. We are starting to see applications where NFC phones can emulate HF tags for things such as access control or ticketing. Thus we expect UHF and NFC to continue their very strong growth while the increased focus on all types of security should help maintain modest growth in the HF market.